Photo wallpaper - It’s time for new buildings! It’s time for new buildings! The season has already started and we still don’t have any plans to build houses. Maybe you are a technician? Will you help us design houses for a truck and a tractor? Grab your crayons! 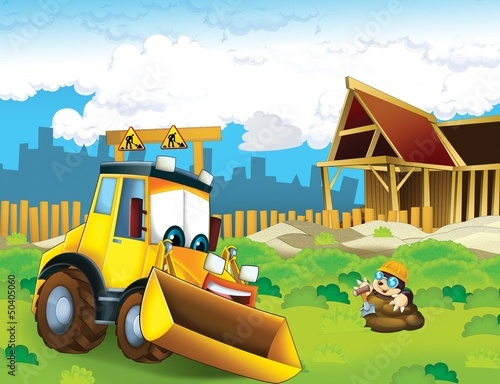 The photo wallpaper depicting a construction site will be a fine addition to your son’s room.